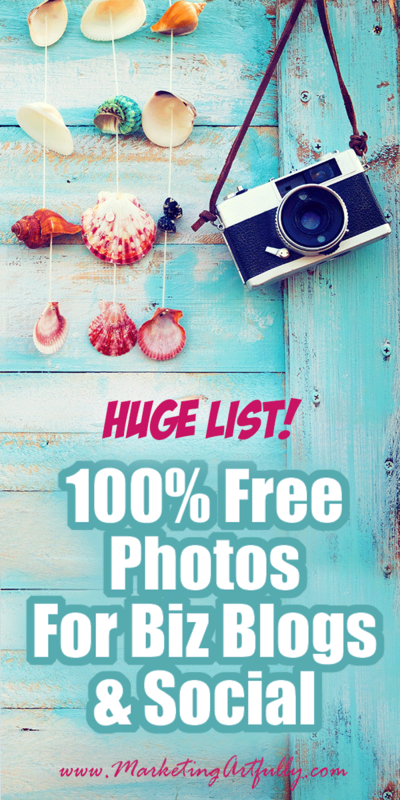 Doing this list of free stock photos I found there are LOTS of lists out there that are just crap! They list dead sites and ones without licenses and especially horrible sites. This list of only the best stock photos that are approved for commercial use is curated by me and updated on a regular basis to make sure it is actually valuable! I have been writing quite a few articles about doing graphics work and wanted to help my peeps find some cool free stock photo sources that they could use to get inspiration and save a buck or two! Please be super careful when using stock photography for business. 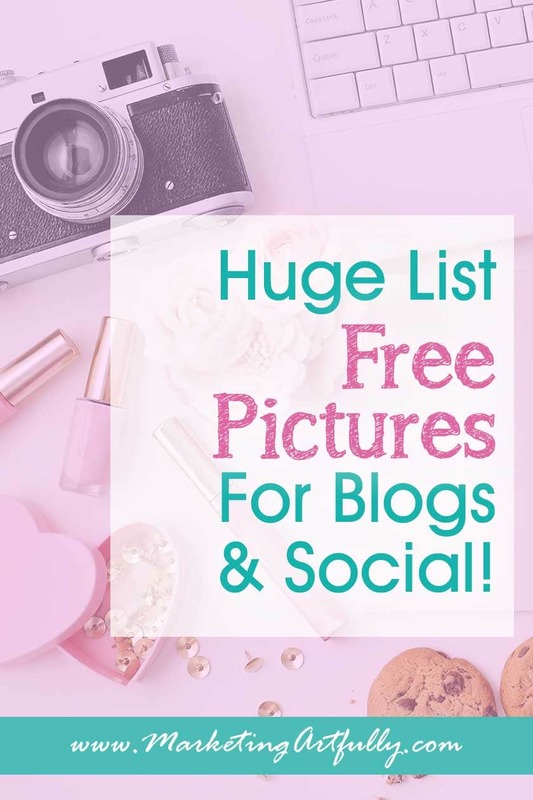 Many of the free stock photo sites are not free for commercial use (meaning someone doing a fun craft blog could use them, but you couldn’t use them for your real estate social posts or in a book cover). I have vetted all these sites, but if you have a question about another site look for a license that says “Creative Commons 0 or Creative Commons 00, which means that the photos are free to use without restriction and without saying where you got it (attribution). 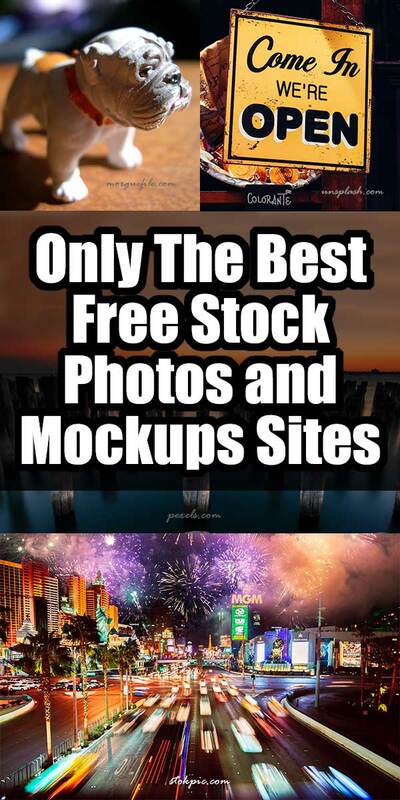 Only The Best Free Stock Photos Sites! MorgueFile.com – Has A LOT of pictures that you can use as a Remix – to adapt the work, Commercial – to use this work for commercial purposes or Accompany – the photos with other content. Just watch out, some of the searches lead to paid photos. Unsplash.com – This site has great pictures and an awesome licensing… Creative Commons Zero which means you can copy, modify, distribute and use the photos for free, including commercial purposes, without asking permission from or providing attribution to the photographer or Unsplash. Burst – Good selection of high quality photos.. more business ones than other sites. Royalty-free and professional business photos for commercial use. Creative Commons Zero. Provided by Shopify. Pexels.com – Really nice selection of high quality photos. Creative Commons Zero (CC0) license. This means the pictures are completely free to be used for any legal purpose. The pictures are free for personal and even for commercial use. You can modify, copy and distribute the photos. All without asking for permission or setting a link to the source. So, attribution is not required. FreeImages.com – Okay pictures, watch out the right hand side are paid pictures. Super good search filters. You do not need to include a photo credit for commercial use, but if you are using content for editorial purposes, you must include the photographer’s credit adjacent to the content or in audio/visual production credits. Shutterography – Nice artistic pictures. All photos on Shutterography are free for personal and commercial use, attribution is not required. GoodStock – Offers totally free stock photos with no link required. A mix of photos including people and tech. PicJumbo – Another photographers site with great pictures! Couldn’t find the license but it is a free download site with a premium upgrade option. Splitshire.com – Super pretty, stylized stock photography. Not a huge selection but nice images. Free for commercial use. Libreshot.com – Martin reached out to me to let me know about his free stock images. Some really good unique ones in the business category! Free for commercial use. Stocksnap.io – Nice selection of photos, seems to have way more business related shots than many of the other sites! Creative Commons CC0 license. That means you can copy, modify, distribute any photo on the site, even for commercial purposes, all without asking permission! Rawpixel.com – Lots of people pictures and a nice mix of illustrations. Commercial license without attribution and can use in your own products. FreeRangeStock.com – Seems to be an open license site supported by ads. The top results are paid photos but they have lots of nice free photos. PhotoPin.com – Searches the creative commons Google. You can choose only “commercial” use. Does require an attribution at the bottom of your blog post. Free Photos from the US Government – Check the licenses, many need attribution. Flixel.com – Kind of a cool site that allows you to embed pictures that “move”. Because they provide the code to embed them you don’t have to worry about licensing. That said, if the photographer takes down that movie it will break on your site! MockupWorld.co – (all different mockups) Their site bills itself as “The biggest Source for free photo-realistic Mockups online!” and I find this to be pretty true! One thing to watch is that they are actually collecting free mockups from around the web so sometimes you can just download them, or can for a social share or even your email address. Be VERY careful about the licensing on the mockups you choose as they vary! Dunnnk.com – (technology mockups) It doesn’t really include any overt licensing and allows you to upload your design right into the pictures. Super interesting! Giphy.com – I don’t know that I would put any of these on my website, but they are cool animated gifs that you can share on your social media accounts! TheGraphicsFairy.com – I LOVE this site for old images. Most are illustrations and drawings rather than photos! I am including this list so I don’t have to keep checking out sites that aren’t a good fit for this post! Pixabay – This is a site that comes highly recommended, but seems to have been hacked lately. Please beware until they get it fixed. StockVault – Many of these photos are non-commercial license. Additionally the top results are actually paid. TextureVault – Actually a paid site. Affordable but not free. 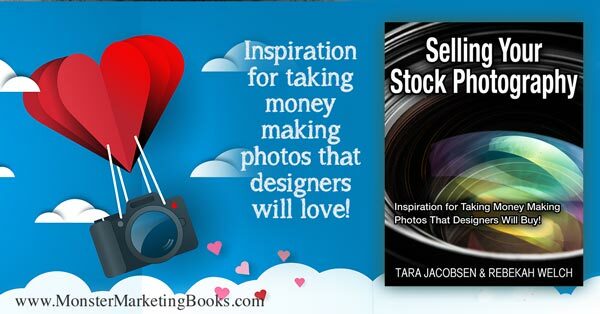 What Are The Stock Photography Rules? If you are using photos on your website or in your marketing pieces, don’t just “find them on Google” and share them. Instead you want to make sure that you have the right to use any of the pictures on your site! In my world, using a photo without buying the rights to use it could mean a $600 fine for one or a $10,000 fine if I “borrow” a picture and use it commercially on a client’s site. Getty Images, which owns the rights to many high quality pictures is known to relentlessly track down sites that are using their pictures without paying for them. First off it is important that you learn different terms. Attribution. According to Wikipedia attribution is “acknowledgement as credit to the copyright holder or author of a work.” What that means in the real world is that you need to note on the page, preferably close to the picture that you use where you go it. A link back to the source is recommended. Editorial Use. According to Getty’s terms of service, “Editorial Use” means “relating to events that are newsworthy or of public interest”. So almost anything that I do on my business website would violate “Editorial Use”. Commercial Use. According to Getty’s terms of service, “Commercial Use” means “in advertising, promotions or merchandising.” Oh yeah, that is what I use pictures for… to get people to come to my website! So I need to always check the “commercial use” terms when using photos. Resale Use. One thing that I won’t be covering is resale use (because it is so broad and fraught with conflict). This would be buying a picture or design and then using it on an item that you are selling (for example a tshirt). Many sites will allow use up to a certain number (like 5,000 or 25,000) but it worth checking out before reselling an image!